Cher released her first new studio album in 12 years in 2013 with Closer to the Truth. She followed that up with a two-year residency in Las Vegas with her show Classic Cher, which kicked off in 2017 and is due to end in November this year. Earlier this year the superstar had a small role in Mamma Mia! Here We Go Again as the mother of Meryl Streep’s character. Picking up plenty of buzz for her performance and her version of the ABBA classic Fernando, Cher quickly announced that she was continuing her ABBA exploration with the release of new album Dancing Queen, a covers album. In the run-up to the album’s release Cher has been teasing fans by releasing her versions of Gimme! Gimme! Gimme! (A Man After Midnight) and SOS, and it’s safe to say she’s whipped up quite the frenzy. Having now heard the entire Dancing Queen album, the only question I have is how on earth did no one think of this project earlier? Cher covering ABBA songs is a stroke of pure genius and a marriage made in heaven. Looking down the track listing, Cher has gone for the crowd-pleasers and the album is pure joy from start to finish. Opening with the title track, Cher lends her distinctive and powerful vocals to a song that has gone on to be an anthem for women and gay men across the world. Words can’t actually describe how perfect it is. Next up is Gimme! Gimme! Gimme! (A Man After Midnight), which uses Cher’s now signature auto-tune affect liberally while sticking close to the song’s original arrangement. It works and it allows Cher to put her own spin on the classic. Elsewhere on the record Fernando (minus Andy Garcia’s vocals) is included on the track list, Waterloo is given an electro-stomp on an intro that makes it feel oddly contemporary, and The Name of the Game is perhaps the best vocal here (and to my ears the least manipulated). Album closer One of Us, which could easily become another anthem for Cher to add to her lengthy catalogue, is a fitting way to bring things to a close. The only real complaint about the record is that the use of auto-tune threatens to overwhelm some songs. While it was a neat gimmick on her Believe album back in 1998, it’s a little distracting here. The worst offender is The Winner Takes It All with Cher sounding like a robot by the final 30 seconds. It’s a bit much and not completely necessary. It’s fair to say that what Cher has done on Dancing Queen isn’t revolutionary but that’s what makes it work so well. 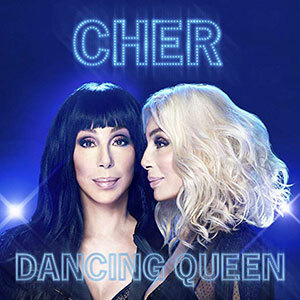 By using very familiar arrangements and putting a Cher twist on the vocal delivery, Dancing Queen is a surprising triumph. At only 10 tracks long it breezes by and I wouldn’t have been opposed to having a few more. Having said that, what’s the point in messing with perfection? Maybe Cher’s already cooking up a sequel for next year… we can but hope!